I really like the direction this site ended up going. 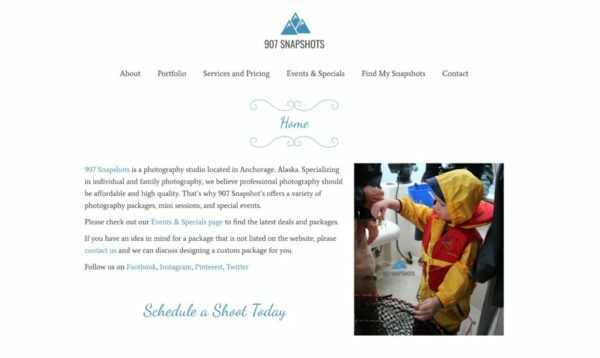 We went with a very simple color scheme with lots of white space to draw the users’ eye to the photos. My design friends are always telling me about using whitespace, but it’s so easy to slip into trying to fill all the blank space. Thanks to Melissa’s (the owner) feedback I think this site turned out really well.